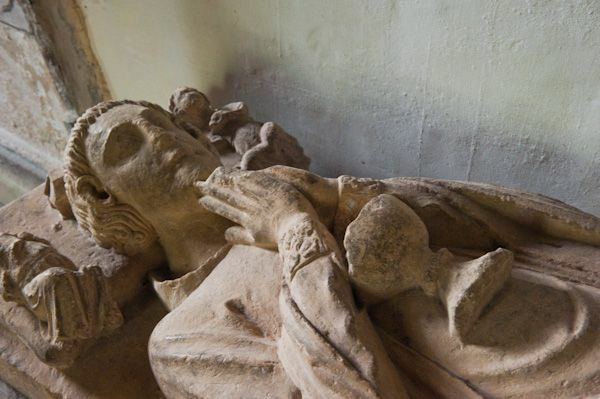 The small 12th-century church of All Saints is located on a slope overlooking this quiet village, in a beautifully peaceful setting. The church is built to a very simple design, with a short west tower, nave, chancel, and narrow aisles. 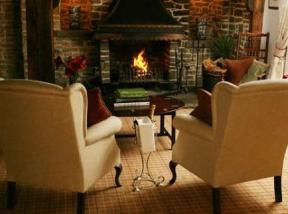 Though it was restored in the late 19th century, the Victorians blessedly left untouched many medieval features. 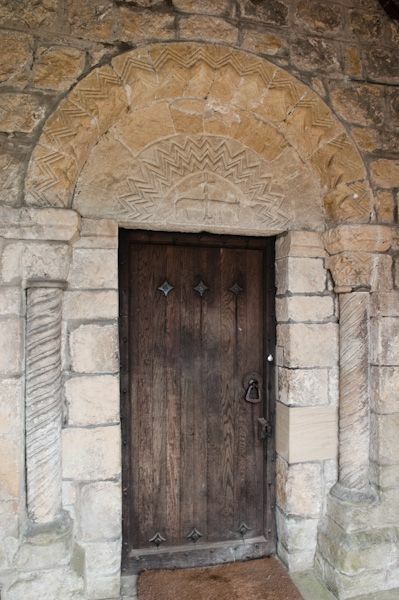 Above the exterior of the north door is a curious inscribed tablet dated 1686. 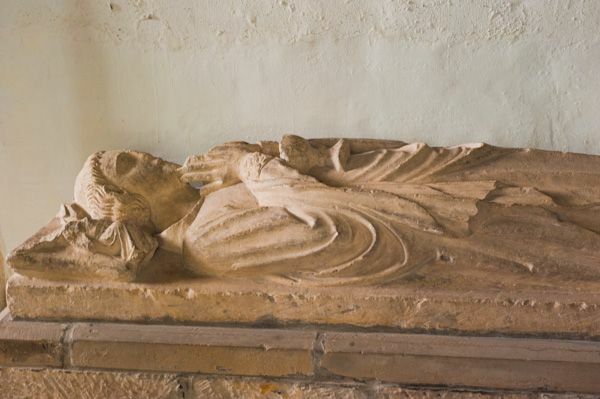 Immediately beside the north door is a recumbent effigy of a young priest, said to represent the brother of St John of Bridlington, who was born at Thwing, and canonised in 1401. 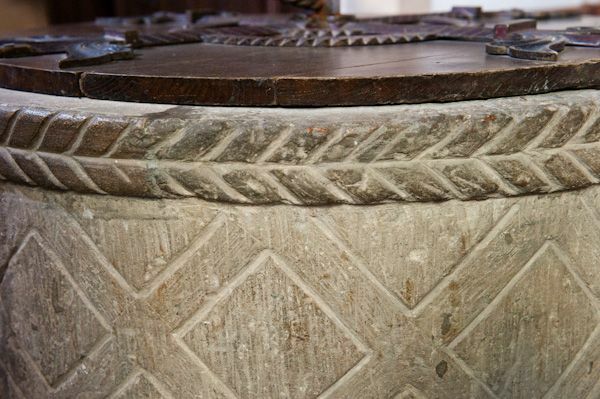 John is thought to have been baptised in the broad-bowled, beautifully carved Norman font, decorated with diamond patterns. 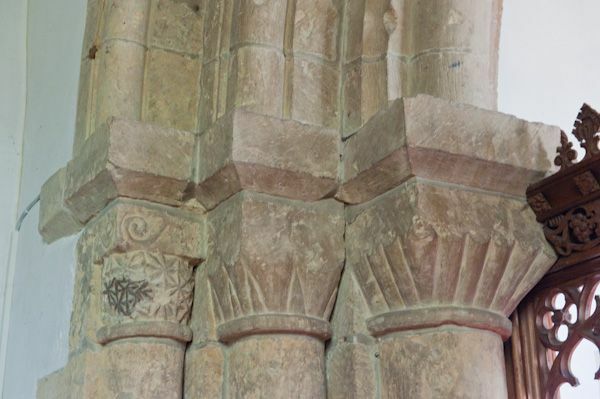 The chancel arch is also Norman, with partly restored carved capitals of that period. 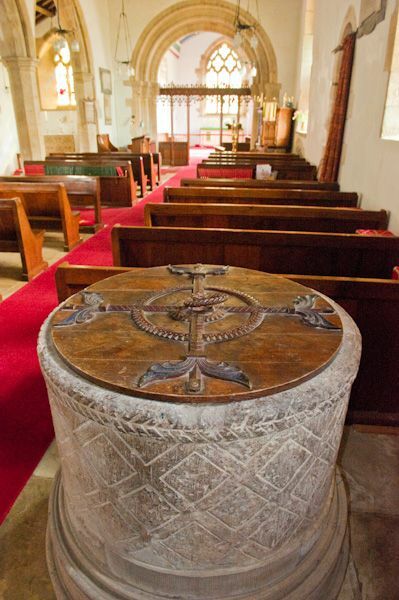 Aside from the lovely font, the real treasure of All Saints is to be found in the rebuilt south porch. Here you will find a beautifully carved Norman doorway topped with a tympanum depicting an Agnus Dei (Lamb of God). 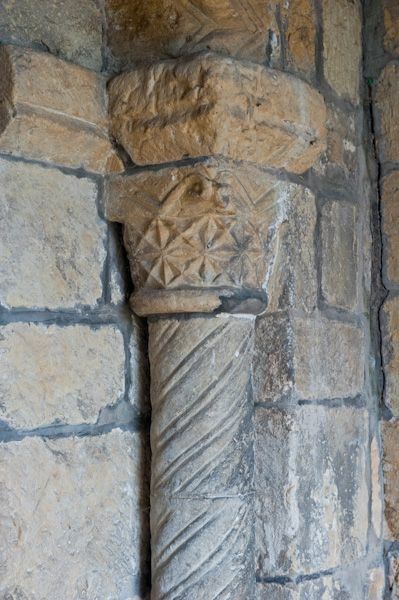 The flanking door columns are carved with diagonal patterns, rising to ornamented capitals. 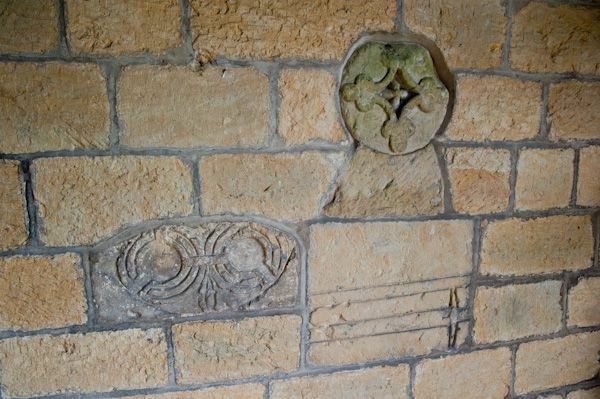 There are also fragments of an incised grave slab set into the porch wall, and what appears to be a cross head. 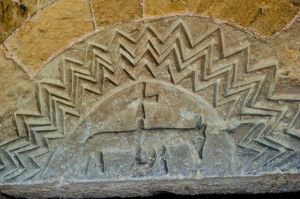 Verdict: a lovely rural church with some very enjoyable Norman features and historical connections.